kkuuddoo wrote: I don't think that Bourbon is one of the main BO Members, I would consider Vermouth to be main or important, along side Gin. We have Wakita as well(although still not confirmed). His loyalty might be on par with Gin(if not above, based on his possible close position to the Boss). Aren't you jumping the gun pretty heavily here? Only if I addressed this as fact(which I didn't). It's not based on nothing anyway. btw, what's the harm if I was? 2. Wakita- Actual kuroda in disguise. Actual NPA commander. But when he got the news of another kuroda in NPA he disguised him self and he wasn't that harmed so he isn't using any stick. 2. If someone else is asaka we might have to check. 3. 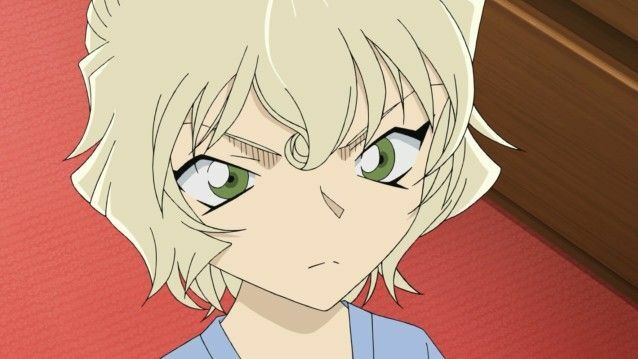 If Dad akai is asaka then probably mary either saw him killing kohji-amanda and ran to which RUM stopped her and gave her APTX. 5. Tsutomu Akai- Alive! That's all i can say.Also, I just don't think Tsutomu can ever be RUM(for which he will be not only betraying his son and wife but if the theory goes by BO was after him to KILL.!!? Why would he ever become No.2 of a underground crime syndicate that is after his LIFE?Also I still think that the mystery man is he himself. 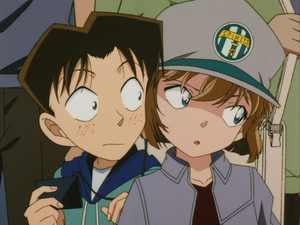 Even Detectiveconanwikia has it stated. Also, the Uploader for kohji haneda has to be someone from the NPA/MPD/FBI since the case was in US. There are many loose ends to my theory to which i will change later. as I can think of more. For the time being bear with it.! Feel free to counter. So, I think Tsutomu is still alive as Mary is still alive, and they being alive is what Rum screwed up in this case from 17 years ago. So... I think Tsutomu is probably disguised as someone else (as Shukichi Akai disguised himself as Subaru), maybe even disguised as Kuroda... but... here's a suggestion that's even more wild and out of the box. What if... Tsutomu Akai also took APTX and shrank? So say he was shrank to age 10, after 17 years he would be roughly his current age 27, so he became and took on the identity of his son Shukichi, which echoes with the like father like son theory? Hmm... but if Tsutomu was able to age while Mary remained a child, then that has to mean that Mary continued to take the APTX to remain a child to hide from Rum who would recognize her as Asaka? Makes sense? Most suspicious character as Rum but I guess he is not Rum. His obvious interest to be Kogoro Mori's disciple reminds me with how Bourbon being Mori's apprentice to investigate Kogoro, means that HIS BUSINESS IS ONLY WITH KOGORO. the real Rum probably cares nothing about popular detective /unless, you count Soul Detective attempt to invite Mori to solve Koji Haneda's murder case as a threat for Rum. However, what was shown in the chapter was Gin starting to have another caution towards Mori. It could possible Wakita is another BO code named member that sent by Gin to watch over Mori. if people suspect her as BO plot character, we shall wait untill her childhood friend starting to notice changes within her just like what happened to Araide-sensei. i think both naeko or chiba doesn't notice anything weird within her yet. i still not sure who's rum actually. used to think it's wakita but i dont think aoyama gosho will repeat same pattern for him, rum's revelation should be grand, hence im more leaning to kuroda as rum that lose his memory. Interesting theory, Wakita, he could be just a low ranking BO agent, but who knows. On a side note, IF people take into account and consideration of Rum's description being like an OLD man seriously and that he\she being like an OLD man as in an appearance AND age, then Rum actually should be quite old if he was reported to be old by other BO members. There is one suspicious unknown old man that "appeared during Shuichi Akai's final loyalty test while he was waiting for Gin to arrive. (And he just walked in and sat down on a seat where Gin was supposed to sit). FBI agent Andre Camel emerged from his hiding place to scare him away, thinking he was just an ordinary old man. Since Gin never appeared, it was very likely the old man was a member of the Black Organization." Well, if it's suppose to be a person overlooking the final test of loyalty, could the oldman be Rum who is second in command? So until around the camping case, iirc I was kinda against the idea of Asaka not being Rum, but then I started changing my mind. There's also that idea that Kuroda is Daddy Akai, which I'm not really against per se (better having one character be several pieces), but there needs to be some explanation to Haibara getting triggered, and if it wasn't because of Rumi, then it kinda sorta has to be because of Kuroda, and if Kuroda is Tsutomu and also was/is a BO spy, that's like... so many bad ideas combined. Not to say that can't be the case, just that it'd be... hilariously awful shall we say. (This is all assuming that Kuroda's also a BO spy. If he isn't, and he's just Tsutomo then whatever I guess. It's still unfortunate Daddy Akai is a character we have to deal with in the first place, though).